Dozhd is going to launch an IPO on the Moscow Stock Exchange with two other media outlets. 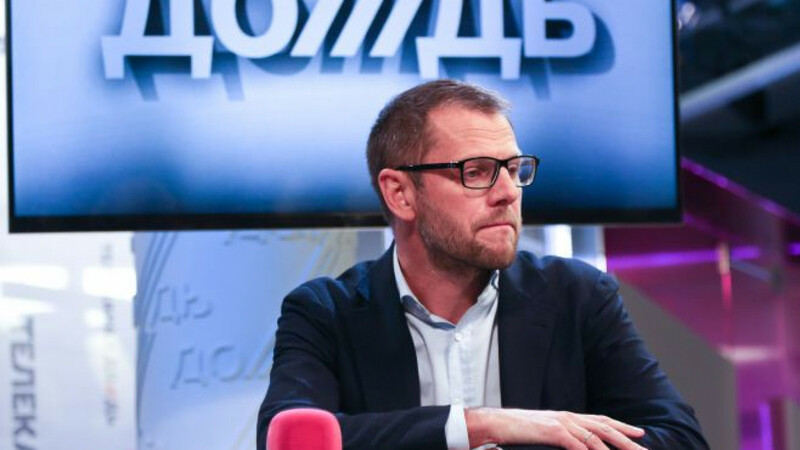 Three independent Russian media sources — besieged television channel Dozhd, Internet portal Slon.ru and magazine Bolshoi Gorod — will unite into a single media holding and launch an IPO on the Moscow Stock Exchange, the companies' owner Alexander Vinokurov said. The size of the share floatation could range from 300 million rubles ($8.6 million) to 700 million rubles ($20 million), Vinokurov told Interfax on Thursday, declining to specify the size of the stake on offer. "I am not yet ready to give an estimate of the company's value — that is for investors to decide," he said. The biggest of the trio is Dozhd, an opposition-minded television channel that since its launch in 2010 has become a favorite among the growing cosmopolitan middle class. In recent months, the channel has been wracked by a series of near-death experiences. Every major broadcaster abruptly dropped the station in January, depriving Dozhd of up to 85 percent of its viewers. Behind the furor was a survey that appeared on the Dozhd website in January and generated a wave of condemnation by asking users whether Leningrad should have been surrendered to the Nazis during the siege of the city in World War II to avert the loss of nearly a million victims. Many analysts claimed the outrage and denial of service were manufactured by the government, which was unimpressed by Dozhd's no-holds-barred coverage of street protests in Kiev — when state television channels were vilifying the protests and playing up the role of fascist elements. The channel managed to drum up 40 million rubles ($1 million) with a fundraising marathon in March, which allowed it to continue broadcasting while shedding about half of its staff. Broadcasters in April began negotiations on returning the channel to the air, but Vinokoruv announced in late May that the talks had stalled. Now, the channel risks being turfed out of its studio on Moscow's hip and tech-savvy island complex in the former Krasny Oktyabr chocolate factory, which it shares with Slon.ru and Bolshoi Gorod. The lease expires on June 20, and the owner has so far refused to prolong it. Vinokoruv told Interfax earlier this week that the channel has been unable to find a new location, and since it will take from eight months to a year to outfit a new studio, Dozhd's fate hangs on the landlord's decision. Vinokurov — a former investment banker — told Forbes on Thursday that the companies are already preparing for the IPO. The money raised will be funneled into furnishing a new studio complex for Dozhd, as well as transitioning the companies from advertising to paid prescription revenue models, he said. Dozhd pulled in total revenues of 362 million rubles in 2013 ($10 million), compared to Slon.ru's 106 million rubles ($3 million) and Bolshoi Gorod's 64 million rubles ($2 million), Forbes reported. Dozhd is not the only one of the assets facing financial troubles — Vinokoruv in February decided to cease publication of the print edition of Bolshoi Gorod after a long struggle to raise the bi-weekly lifestyle magazine to profitability. The magazine's website has continued operating with a skeleton staff.